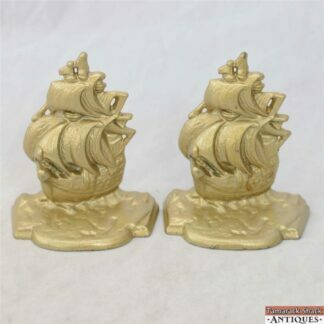 SKU: 2255 Categories: Antiques, Pottery: Shawnee, McCoy, Etc. For your consideration is this Weller Floretta grape tankard and 3 mugs or steins. There is incised circular Floretta Weller mark that according to Lehner’s Encyclopedia of US Marks is from before 1920. The tankard measures 11″ in height. There are no cracks or chips. There is even crazing. The tankard holds 70 ounces. Each of the steins measures 5 3/8″ in height and holds 20 ounces. One has a glaze pop on the edge of the base. There are no cracks or chips. Each has crazing. Please see the pictures for more detail.